Welcome to KB Transport Solutions Limited. Benefit from our secure warehousing and storage facilities. We have purpose designed our commercial storage units tailor made for warehousing solutions. 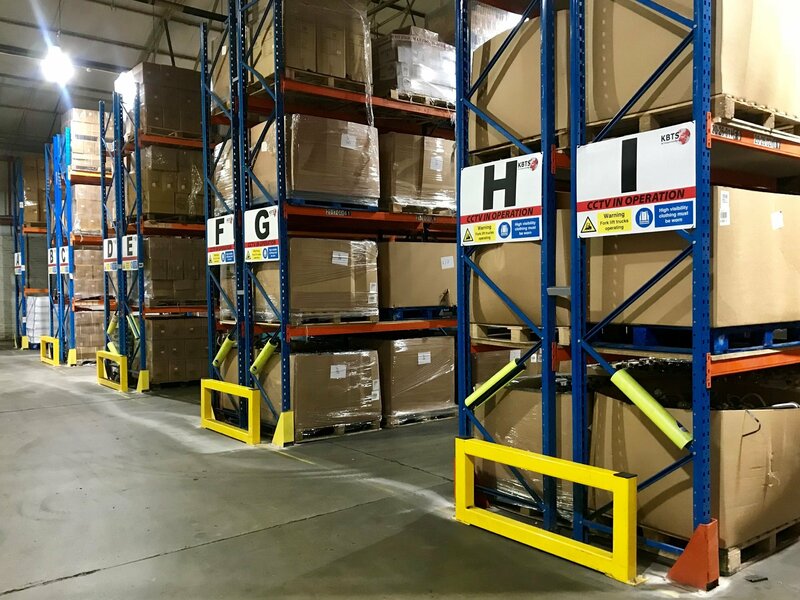 With the ability to handle and store all types of products either palletised or loose loaded, with dock levellers and internal/external ground facilities to ensure the safe handling of product either for receipt or loading for onward shipment. Being situated in the Midlands, Coventry offers an ideal location for companies looking to store their goods in central England ready to be distributed throughout the UK to various outlets. Like many urban areas in the Midlands, it is well located for transport links; the M6, M69, M45 and M40 are all nearby and the A45 and A46 also serve the city. KB Transport Solutions (KBTS) is a thriving logistics and warehousing business, based in Coventry. After being established in 2010 during the height of a recession, it had a slow progression into the transport and warehouse storage industry, due to limited funds. Despite this, the company continued to pursue its ambitions and develop long standing contracts and relationships with its customers, which thanks to KBTS’ high standards of service, are still working with the organisation today. “Originally it was just myself and my business partner, Managing Director Kevin Bennett, who started and operated the business; however, we have now developed our staff and can boast a team consisting of over 30 employees. As a family-run business, we promote a close-knit environment with family and friends being on both the board of directors and operating as members of staff,” states Alan Mohomed, Finance Director and Partner at KB Transport Solutions Ltd.
“At the start, we solely provided warehouse services, after being given the opportunity to operate from a small area of a site at Edgewick Park, Coventry,” he added. “We eventually outgrew this area, and continued to take over full occupancy of this site, becoming a limited company in September 2011. Following this, our next project was developing into transport and distribution services. In fact, KBTS’ expansion has been so successful that the company has now taken over almost the entire Sandy Lane Estate in Coventry, occupying 130,000-square feet of the 136,000-square feet site, owned by the commercial property company Wigley Group. KBTS and Wigley have not only developed a close working relationship, but also both get involved in local community work, with Wigley organising charity events, both companies working with Zoë’s Place, a charity for sick children, and KBTS about to sponsor a local up and coming football club for children. “This raises our own name as a local firm but also it’s our way of giving back,” added Alan.